With the STS 4020, power is not just added on; it’s integrated into the system! All high-power supplies are fully floating, and offer both pulsed and continuous operation up to their full rated output. They employ a high-speed data bus, and offer full modulation and synchronization to other system instruments. Switching these supplies among device pins is convenient, using the expandable PTH high power matrix. No parameter is more important to the semi-conductor manufacturer than throughput. The STS 4020 provides high throughput than any other system in its class by combining high-speed instrumentation with a powerful UNIX-based Linux Operating System running on a fast Intel CPU. In addition, high-speed processors are incorporated into the system’s instruments to handle all time-critical functions, freeing the CPU for other tasks. The STS 4020 slashes the time needed to get new devices to market by addressing the test engineer’s two most time-consuming tasks: fixture development and program debugging. 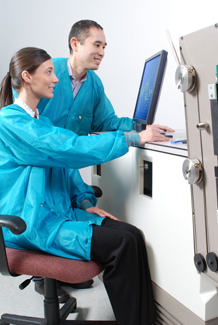 To speed the process of developing new test fixtures, the STS 4020 incorporates a unique Programmable Test Head (PTH). The PTH is configured with plug-in modules which provide all of the functions normally needed for mixed-signal testing. This dramatically reduces fixture complexity and the time needed for design, assembly, and debugging. The STS 4020 employs a Layered Focus Architecture to bring the benefits of enhanced accuracy and flexibility to every application. Three distinct hardware layers (mainframe, PTH, and fixture) allow circuitry to be optimally located for high accuracy and noise immunity. Many PTH modules, for example, service as “front ends” for mainframe instruments, providing signal conditioning very close to the test socket. Each of these hardware layers can be further divided into two layers of focus: standard and custom. A large catalog of standard instruments and modules allows each system to be configured to specific customer requirements. But new requirements emerge constantly, and the custom layer is provided for quick response to these needs while new standard instruments are being designed.